Chandler Bailey defends companies that make and sell products. For nearly 20 years, Chandler has represented product manufacturers and suppliers around the country in high-stakes cases involving catastrophic injuries and wrongful death. Chandler knows the importance of taking the time to understand how products work and why. Using that knowledge, along with an exhaustive investigation of the incident, Chandler develops powerful trial teams that often lead to a successful solution for his clients short of the courthouse. In all of it, he works to ensure that his client’s side of the story is told. Chandler makes it a priority to understand his clients’ businesses, their products and get to know their employees. This allows him to not only represent them in any one particular case, but also to provide more comprehensive counsel that goes beyond the current engagement. This strategy has earned him the trust of several of the country’s largest companies. Serving as their national and regional counsel, he has represented them in serious, high-exposure lawsuits in more than 20 states across the country. When it matters most, Chandler is a seasoned courtroom lawyer, having tried cases to verdict in many different venues — from Georgia to Arizona. 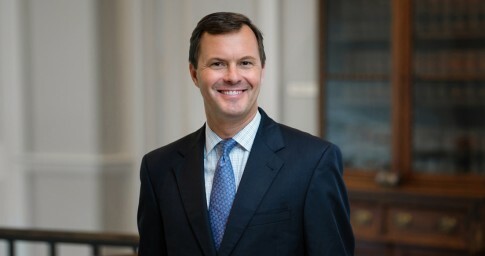 Chandler currently serves on Lightfoot's Executive Committee, is a past participant in the Alabama State Bar’s Leadership Forum and co-chaired the Alabama Defense Lawyers Association (ADLA) Annual Trial Academy. He is one of only 15 Alabama lawyers selected as a member of the Product Liability Advisory Council (PLAC). Chandler has been honored by several leading legal publications. He was selected by Benchmark Litigation as a "Local Litigation Star" in 2017 and 2018, listed in the 2018 and 2019 editions of The Best Lawyers in America© and recognized by Super Lawyers every year since 2010. Outside of the office, Chandler stays busy helping his wife keep up with their two active boys’ sports and social calendars. If there are any hours left in a day, you can probably find him playing golf, at the lake or cheering on the Florida Gators. Serving as lead trial counsel for a national transportation company in a three-week personal injury trial in Arizona. The plaintiff was the passenger in a pickup truck using a tow dolly rented from our client to tow another vehicle. The plaintiff, who suffered spinal cord injuries when the pickup truck rolled over, sought $30 million in compensatory damages and $100 million in punitive damages. After two days of deliberation, the jury returned a defense verdict. Serving as lead trial counsel for a Birmingham company in a multimillion-dollar dispute over a long-term supply agreement with a customer. After two weeks of arbitration, our client received a favorable decision that will govern the relationship between the companies for many years. Serving as lead national trial counsel in catastrophic injury cases for a leading power tool manufacturer. Serving as lead national trial counsel for the world’s largest water heater manufacturer. Serving as national trial counsel in a catastrophic injury case for the nation’s largest rental trailer/truck company. Serving as trial counsel for several leading automotive manufacturers in Alabama and neighboring states. Serving as trial counsel for a leading farming/construction/forestry manufacturer in Alabama cases, including catastrophic injury lawsuits. Serving as national trial counsel for a leading supplier of battery technology regarding fire/explosion claims.